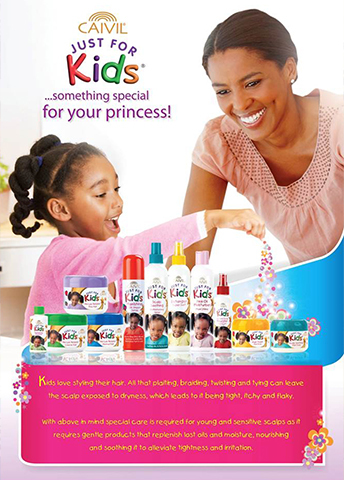 Your little princess's hair needs special care from products that gently nourish and protect her hair and scalp. That's why we developed Caivil Just For Kids. Formulated with gentle, safe and effective ingredients, this range of hair care products protects and moisturizes even the most sensitive scalp, so your princess can wash her hair and style them with confidence.